CPA Tax Accounting | Daytona Beach FL | Call J. Braun! To meet the needs of our clients, J. Braun CPA and Associate, P.A. was established as a Florida CPA firm to provide accounting, tax, and business advisor services to corporations, small businesses and individuals throughout Central Florida. Recognizing that each client has unique goals, we tailor our services to meet your specific needs. To better meet the needs of our clients, we have individualized services for clients in industries like real estate accounting, construction accounting, healthcare accounting, professional services and various consumer services. These individualized services have enabled us to address their industry specific challenges, compliance needs and standard tax practices. Jerry, a native of central Florida, has provided accounting, business advisory and tax services to business entities and individuals for over thirty years. During that time, he has provided high quality, personalized service to a wide variety of clients, ranging from individuals to small and mid-size companies in a variety of diverse industries. Jerry's background in both public and private accounting gives him a unique perspective into the financial, tax and business needs of your company. Jerry is licensed as a Certified Public Accountant in Florida. He earned his Bachelor of Science degree from University of Central Florida and also holds an MBA degree with a specialization in Finance. 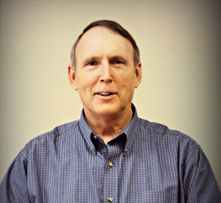 Prior to starting his own CPA firm in 1985, he worked for a large regional CPA firm in Daytona Beach, Florida. He also served as the Controller for a large construction company, and for an investment advisory firm. Jerry is a Professor at the local college and has taught there for over ten years. The course offerings he has taught include financial and managerial accounting, corporate finance, personal financial planning, computerized accounting (utilizing Quickbooks Pro), computerized spreadsheets (utilizing Excel) and personal income tax. Jaren, also a native of Florida and a partner of the firm, is a graduate of the University of Central Florida earning his Bachelor of Science in Accounting. He also earned his Master of Taxation degree from Nova Southeastern University. He is an Enrolled Agent which is a federally licensed tax practitioner that has unlimited rights to represent taxpayers before the IRS. 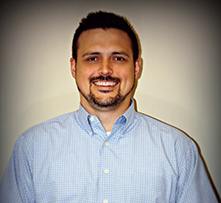 Jaren has been with the firm since 2002 and is being primed to help lead the firm into the future. He is experienced and well-informed in all services offered by the company, and he is also very computer knowledgeable, specializing in computerized accounting and computerized spreadsheets (utilizing Excel). He has assisted with audits, reviews, and other substantial engagements, and he is also proficient at personal and corporate income tax preparation. Teresa is the senior bookkeeper for the firm. 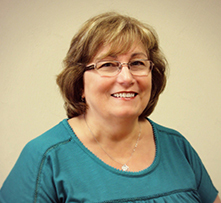 She has been working in the business accounting field in Volusia County for over 25 years. Since joining the firm in 1993, she has accumulated an extensive background in full charge bookkeeping while specializing in payroll. She is proficient in several areas of computer accounting, especially in QuickBooks. She also has wide-ranging experience in the preparation of compiled financial statements as well as personal and corporate income tax return data processing. J. Braun CPA and Associate, P.A.